It is highly likely that you will have a few questions. We expect you to; because most people usually do. So let’s take a quick look at some of the most commonly asked questions people ask us and why… along with the answers we have for you. After going over this information and you still have a question, please contact us (or give us a call) and we would be more then happy to answer it any remaining questions you have. Q: Will you be listing my house for a commission like a realtor on the MLS or actually buying it? A: This is a common question we get and the truth is WE ARE NOT REALTORS, and we don’t list houses we buy them from you and we pay cash for house in Dallas Fort Worth and surrounding areas. We are a team of experienced and professional house buyers: We buy houses Dallas Fort Worth that align with the purchasing criteria that we look for in a specific area. After we buy the house usually in a distressed condition we may repair it and resell it to another home owner/investor or keep it as an income property internally owned within our company. We are know for saying “We Buy Any House Dallas Fort Worth”. Q: Do you pay a fair price for the house you buy? A: The truth is many of the houses we purchase are below market value (the reason we do this is so we can pay for repairs and carrying costs and then still sell the property to a retail buyer for a spread). For the convenience we provide by buying houses quickly and paying the closing costs and no extra fees or commissions we are looking to get a decent but fair discount on the houses we buy. However, in our experience after being around awhile, many sellers are not optimistically expecting a very high price on the property they are selling because most are in pretty bad shape. Most of our clients are just grateful and appreciate that we can make cash offers and we close fast with (no waiting for financing that could fall through) and having no more carrying costs. If this sounds like something you’re looking for and you see the value in getting your Dallas Fort Worth house sold fast… let’s see if we can come together on a fair price that works for you and works for us. 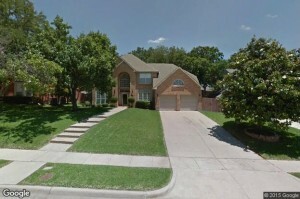 We are known for paying TOP DOLLAR prices for houses in the Dallas Fort Worth area. Q: What is the process you use in determining the price you will offer on my house? A: Another really good question, and here is how we come about our offers: Our process is very simple and straightforward. We first begin by looking at the location of the property, the total scope of the repairs that are needed, the current overall condition of the property inside and out, and the values of the most recent comparable houses that have been fixed up to retail value and that have recently sold in the area. As you are probably aware of, lately house values have taken a substantial beating in the last 5 years and in most areas prices have still yet to come back up. We are seeing some revival in certain markets and should expect prices to rise over the next few years. 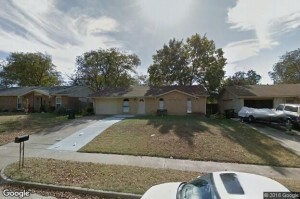 We take a large number of variables into consideration when making the decision to make an offer and pay cash for houses in Dallas Fort worth and surrounding areas because it is a risky business and sometimes we do well and sometimes we lose… Ultimately it is a simple process and we can usually have an offer to you in as little as a few hours. Q: Will we pay for any fees or commissions just to work with you? Q: What is that makes you different from a realtor? A: Realtors simply and only list properties and hope that someone will buy them so they can make a stiff commission of 6% per property. Realtors takes no risk and are in charge of only selling. A realtor will show the property to potential buyers if any. It is a much slower process. Many times the buyer’s are using financing that may or may not fall through at closing but you will not know until 45 days when that day comes. We close in usually 7-10 days and have a near perfect closing track history. The average time it takes to sell a property in most of our markets right now is still 6-12 months) and then you will still have to pay a percentage of the sales price if the realtor finds you a buyer. Sometimes realtors can be the best way to go and a realtor can provide a great service for those that who can afford wait 6-12 months and pay the carrying costs to sell. 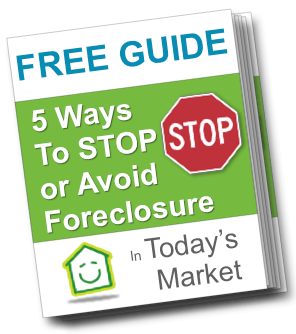 Sometimes they can net you a higher price for your property if you are willing to wait. But here is where we are different: We are house buyers. Our company is known for actually buying houses. We are not just listing the house. We pay with all cash or we can take over your payments… and because of this we can make a quick decision to buy your house fast within a few days (sometimes in some cases even the same day). Again, we make our bottom line by taking the overall risk to buy the house with our own cash, fix the house up to retail condition, and then market it ourselves to find a new end buyer which can sometimes be easy or difficult to do. Q: Do I have any obligation when I submit my info to you through the website? A: You have ZERO obligation. Once we learn a little bit more about your property, we’ll then take a look at all the variables, schedule and set up a call with you, and make you quick and fair all-cash offer and if it works for you then we will move forward to signing a purchase agreement and setting a closing date. It is an absolutely no hassle, straight forward, No-obligation process. It never hurts to take 5 minutes to call us to see what we can offer you on your house today. Curious To See What We Can Pay For Your House Today? 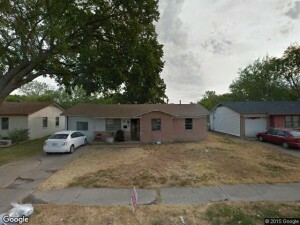 We Buy Any House Dallas Fort Worth!! !